Bunny Runs with Scissors: Fun Fall Bookmarks! 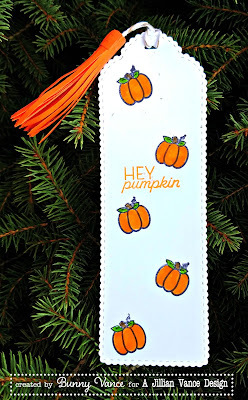 Ever since Jillian came out with the Minnie Pearl Bookmark I am HOOKED on making bookmarks! Here are three for the fall season which will be here before we know it! Catch me over on the A Jillian Vance Design Blog today! Other Supplies: Ranger Distress Ink in Picket Fence Black Vintage Seam Binding EZ Dot Runner by Scrapbook Adhesives by 3L Thanks for visiting today and have a blessed week!